My Mom lives in Hawaii. That means, sometimes she can get a Kamaaina discount at Aulani, a Disney Resort & Spa. When she realized she could get a 40% off discount for a room at Aulani in February, she immediately booked us for a 2 night stay at Aulani, a Disney Resort & Spa. 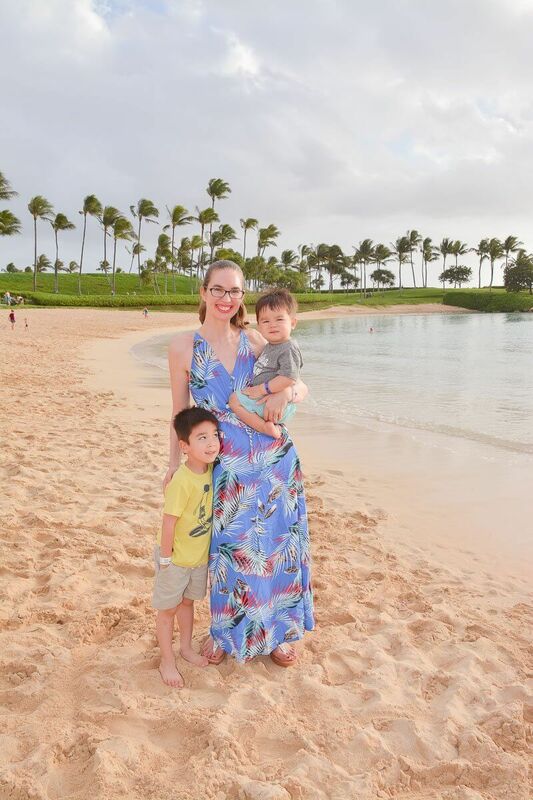 As a family travel blogger, my first thought was how to get tons of Aulani photos where I got to be in some of the pictures. I didn’t want to spend the entire trip hauling a camera around. I wanted to enjoy our Hawaiian vacation! That’s when I looked into the Aulani PhotoPass! Find the BEST deals for Aulani, a Disney Resort & Spa here. What is a Disney PhotoPass and How Does it Work? Disney Parks and Disney Resorts use a program called the Disney PhotoPass Service. There are Disney cast members who will take photos of you and your family on your Disney vacation. These photos are digitally attached to a PhotoPass Card. There’s a special code on the back of the card so you can view your photos online. It’s free to use the PhotoPass Service, however you will pay to download the photos. At Aulani, a Disney Resort & Spa, you can also view your PhotoPass photos on your television back in your room. It’s a fun way to reminisce about your trip at the end of the day! You can also view your photos at the PhotoPass kiosk at Kalepa’s Store near the Main Lobby. If you are looking for an Oahu photographer for your Hawaiian vacation, this is an easy way to do it! 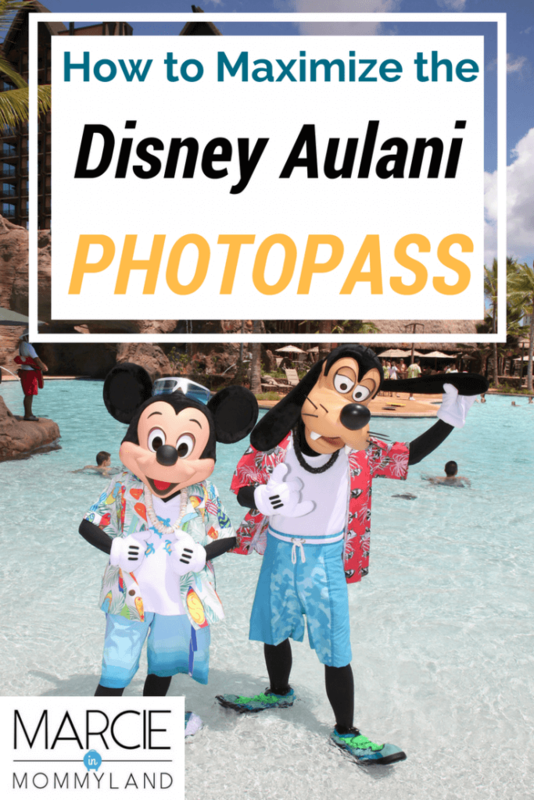 What Does the Aulani PhotoPass Include? 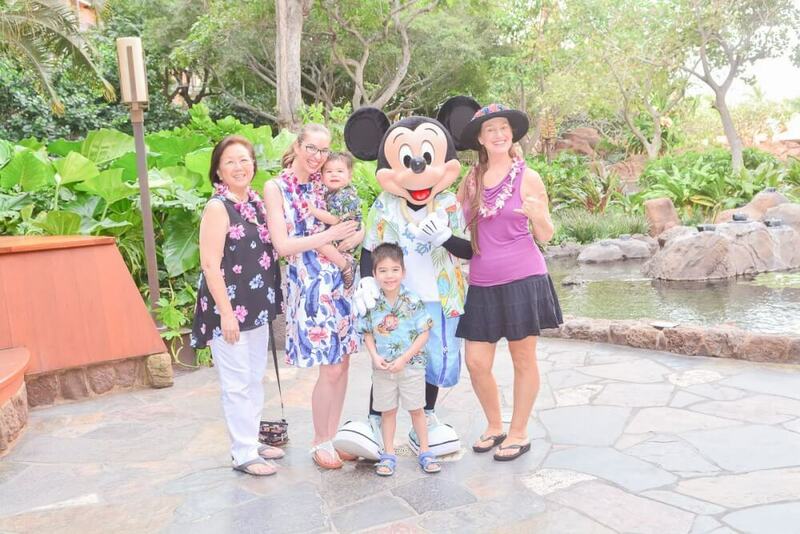 According to the website, Disney PhotoPass photographers can be found at Rainbow Reef, Waikolohe Stream, Keiki Cover, Waikalohe Pool, Ka Maka Landing, and Ko Olina Beach. For $99, you can get digital copies of photos from your entire stay. Or, you can purchase individual digital copies. I downloaded my photos into Lightroom and applied a filter to the photos in this post. What About the Disney Aulani Character Breakfast? If you are doing the character breakfast at Makahiki, you’ll have the opportunity to take photos with Mickey Mouse! During breakfast, a cast member will come around and show you the photos. You’ll have the option of purchasing printed photos or a photo CD. We asked about digital copies, but were told by the cast member they were unavailable. We later learned that Character Breakfast photos can be added to your PhotoPass Card once you’ve purchased the Breakfast Package at Kalepa’s Store. I think this would be the way to go! 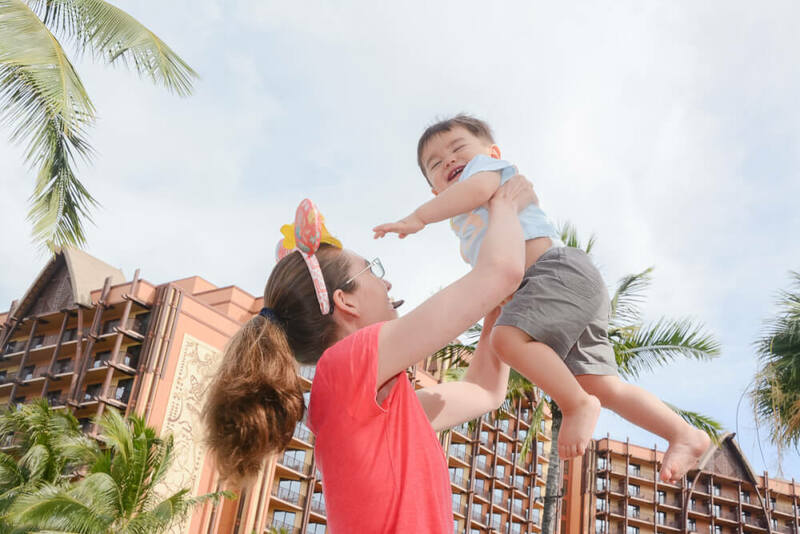 One of the perks of registering for one of the kids activities at Aunty’s Beach House is that an Aulani PhotoPass photographer will take photos of your children. Normally, photography is not permitted at Aunty’s Beach House. However, they have photographers during the pre-registered activities. I signed my son up for Stitch’s Space Goo, which he STILL raves about! It was free to sign up. The cast members give each child a wristband that has an Aulani PhotoPass code on it. 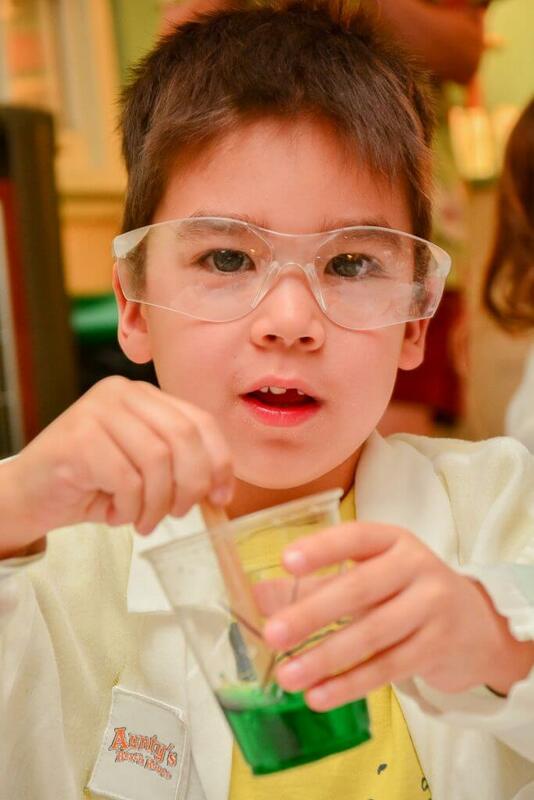 The Disney photographers got so many cute shots of him in his little lab coat and goggles! Then, they added the photos to his wristband. Just take the wristband to Kalepa’s Store and get them added to your PhotoPass Card. Can I Take My Own Photos at Aulani? Of course! In fact, for all Disney Character Meet & Greets, there is a cast member there to assist the PhotoPass photographer. He or she can take photos and videos using your own phone or camera. There is no charge for the cast member to take photos. Personally, I recommend doing both. I usually gave the Aulani cast member my cell phone to take video and photos. They were awesome about taking as many photos as possible. Then, I could scroll through and pick my favorites. These were perfect to post on Instagram and Facebook. But, I love the higher quality of the PhotoPass photos that we downloaded. These are great for printing or creating photo books of our first trip to Aulani. You can get your free Aulani PhotoPass Card from any Disney PhotoPass photographer. Take a photo of your PhotoPass Card and share it with your whole party. You can even make it your phone background for easier scanning. Everyone in your party can use the same code so all your photos will be on one PhotoPass Card. As soon as you get your PhotoPass Card, you can start using it! 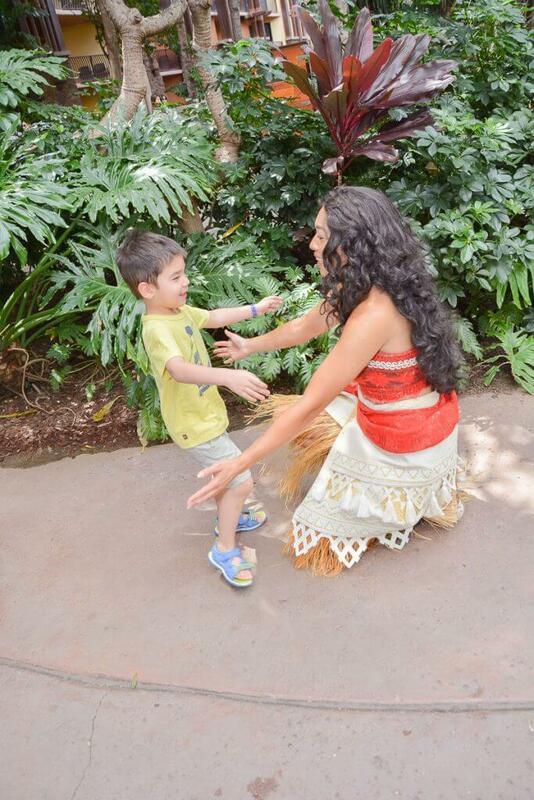 We hopped right in line to meet Moana, which was a highlight of our Aulani family vacation! My son spent two full minutes telling Moana about his temporary tattoo and how he saw her canoe near the Lazy River. She asked him to help her find Hei Hei and Pua! So, the Aulani Daily Iwa is your Aulani resort guide. This is where you’ll see the daily schedule of events taking place at the Disney resort. They usually post the Daily Iwa online about one week ahead of time. You can also pick up hard copies around Disney’s Aulani. This is where you’ll find the number to call for Disney Character Meet & Greets. In your Daily Iwa, you’ll see a number to call for Character Meet & Greets. Usually, you can start calling around 8am. Grab something to write with because they rattle off the characters, times and locations pretty quickly. Thankfully, you can call the number as many times as you like! We were there for two nights and we saw Disney Character Meet & Greets for Mickey Mouse, Minnie Mouse, Daisy Duck, Donald Duck, Goofy, Pluto, Moana, and Stitch. It’s worth noting that not all characters do meet & greets every day. Daisy Duck did photos on the day we arrived, but we never had another opportunity. 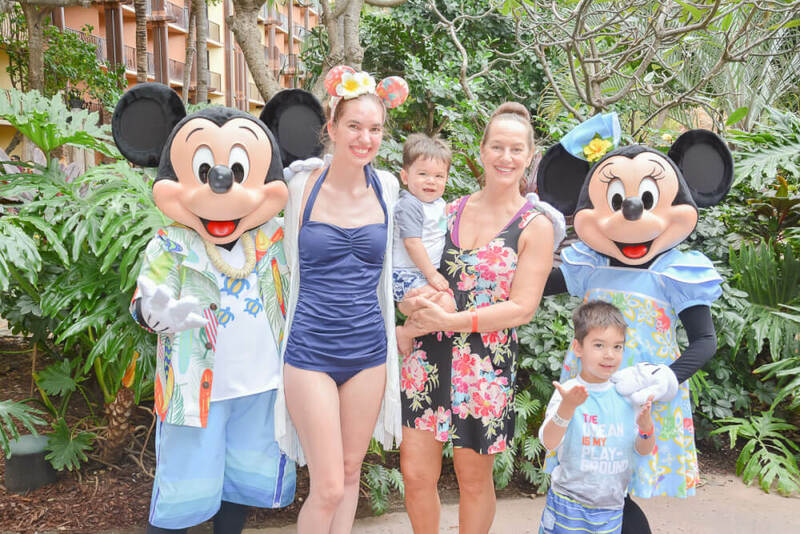 One of the huge perks about the Disney character meet and greets at the Aulani Disney Resort is that Mickey Mouse and Minnie Mouse take photos together! This is quite rare! I recommend getting in line about 15 minutes before they are scheduled to arrive. That’s what we did. I stood in line with my toddler while my Mom walked around with my 4 year old. By the time they joined me in line, they only waited about 5 minutes. My only regret is not throwing on a dress over my swimsuit! While I was at Aulani, a Disney Resort & Spa, I found out that Aunty’s Beach House will only have Aulani PhotoPass photographers take photos during a scheduled activity. Many of these activities are free, but you do need to sign up in advance. 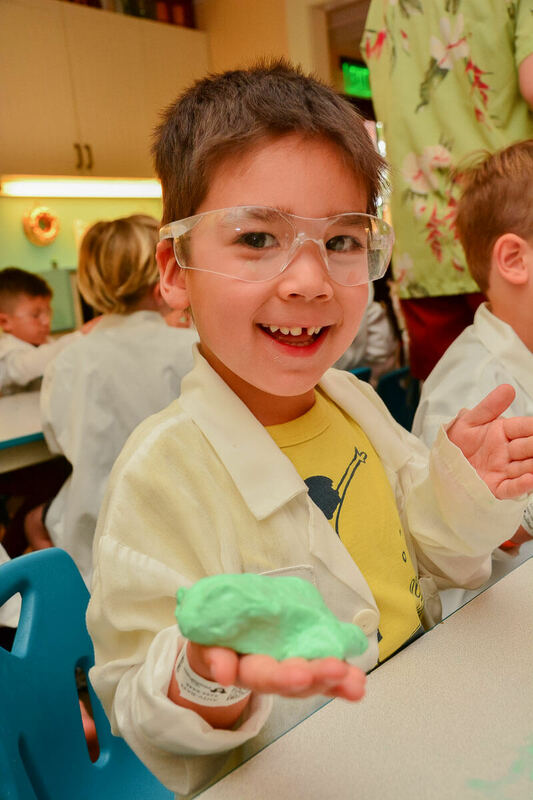 My 4 year old was signed up for Stitch’s Space Goo and the Aulani PhotoPass photographers got great shots of him looking like a mini scientist! No, you don’t need to dress up every night. But, there are usually multiple photographers down on the beach about an hour before sunset. Get photos of your kids playing at the beach in that perfect “golden hour” lighting. Make the rounds and hit up every photographer. They are stationed at different parts of the beach, so your background will look different. Plus, every photographer has their own style. For our family, the best time to go to Aulani Resort was February. We never waited more than 20 minutes for Character Meet & Greets. We also were able to walk right up to photographers at Ko Olina Beach with no wait at all. 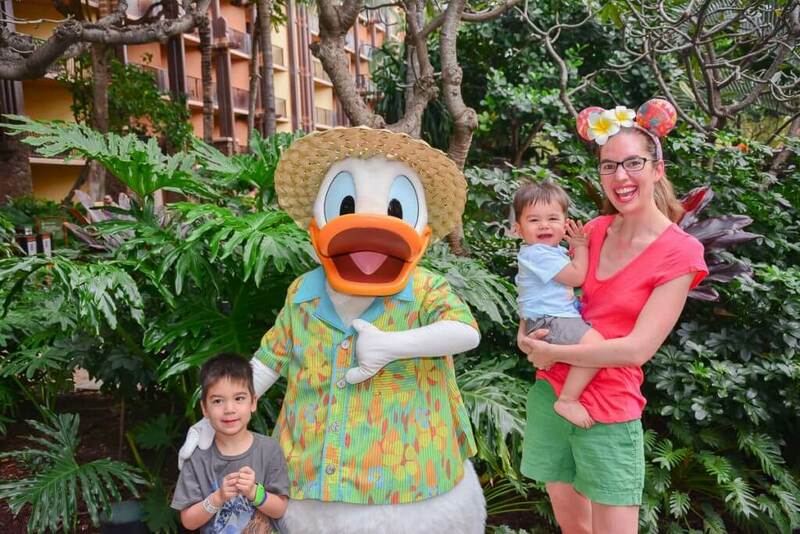 If you are going during Aulani’s busy season (summer or the holidays) you might consider paying to reserve time with a PhotoPass photographer. Since this was our first trip to Aulani, we wanted to commemorate it. We were so thrilled to get lots of photos of my kids with their Grandma. We wouldn’t normally take so many photos, so it was very convenient that Disney photographers were always nearby to help us remember this amazing trip! 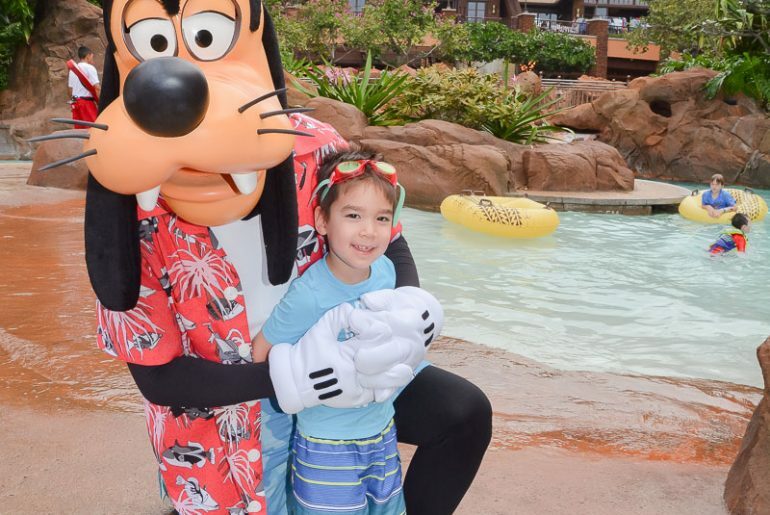 Ask the Aulani PhotoPass photographers to take your photo! There are Aulani PhotoPass photographers stationed throughout Aulani, a Disney Resort & Spa. Take advantage of them! I saw one standing near the lazy river ready to take photos. This is a good reminder to have your Aulani PhotoPass card on you at all times! At one point, I was walking back from dropping my preschooler off at Aunty’s Beach House when I saw an Aulani PhotoPass photographer standing near the pool. I asked if she’d like to take our photo and I got some fun shots with just my toddler! She gave me so many photo shoot suggestions. I appreciated all the direction! Something I didn’t realize at first is that you can check in to Aulani, a Disney Resort & Spa early. They will hold your bags and give you your room key, even though your room won’t be ready. You will get a text when your room keys will let you into your room. But, since you have your room key, you can get an Aulani PhotoPass card and start getting photos! Your room key and pool wrist band will also allow you to use the Aulani PhotoPass Service the entire day you check out. So, if your schedule is flexible or you have a later flight, use your time to get more photos with Disney characters. 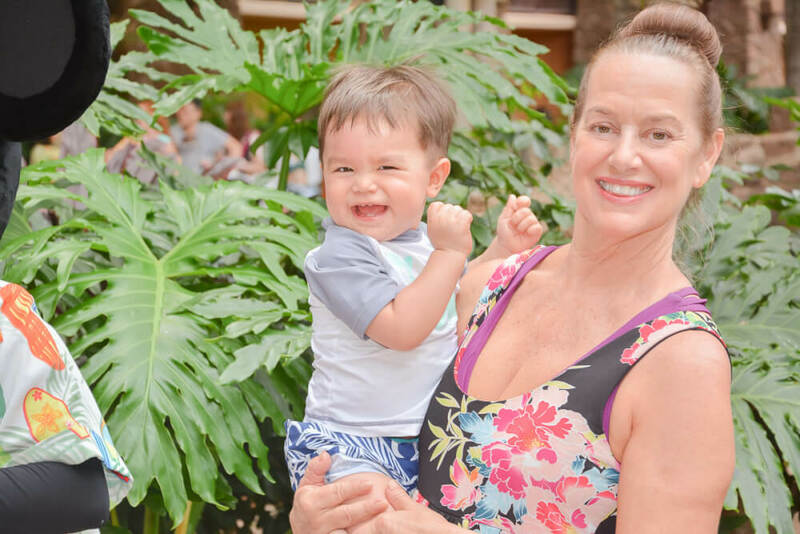 If this is your first trip to Hawaii, you might want to schedule a private family photo session with a professional Oahu photographer. Aulani Resort makes a gorgeous backdrop for Christmas card photos. Guests can choose a resort location for your photo background. A Disney photographer will help you get the vibe you want, whether it’s formal, fun or something in between! Private photo sessions last 20-40 minutes. This sound like a great way to complement on your own photos and to make sure that you have all the best moments on photos. Nice way to go back on memory lane on a cloudy day. Yes, it was like outsourcing a huge responsibility! I always love your posts! Happy mom makes happy kids! Awww, thanks! It was one of our best trips! Ah, I’m dying to go here! Thank you for the tips and I’ll be sure to read all your posts about your time at Aulani. Thank you! It’s seriously one of my favorite places now! I’m looking forward to my daughter getting to the age where we can maximize these great tips! It’s such a fun resort! Oh my goodness! You get sooo many things with that pass! I have heard of the pass before but didn’t realize how amazing it was. Thank you!! Yes, it’s totally worth it! This PhotoPass service is quite new for me, but it brought up some memories last year when I went to Hongkong solo and I had to cancel my initial plan to go to the Disneyland as I didn’t want to wander around alone in the crowded place where I could barely have any picture of myself. ? This is actually a real nice service and useful, and I think next time to go to this kind of place, I should do some research to see if they have similar service with this PhotoPass. Thank you for sharing! Yes! We’ve done the PhotoPass at Disneyland and loved it. We wanted to do it at Disneyland Paris, but we couldn’t find any photographers. It’s really helpful for solo travelers! I hope you’re able to visit sometime! We can’t wait to go back! Sounds like such a great trip with great deals. Many memories to keep for such a low price! Yes, we were really pleased to get these shots! Great photos!! One year we did the photo pass at Disney World and I LOVED the photos. Aulani looks absolutely amazing. Yay! We’re heading to Walt Disney World in December, so I’m excited to do the photos there! I will have to share this with my friends. They go to Disney every year at least a couple of times. Oh how fun! Aulani is such an incredible place! This looks and sounds like a fun time. I didn’t realize that such a thing existed with Aulani, which makes me even more excited because I am planning to go next year. This will definitely be great to keep in mind. It seems to be worth it. Yay! You’re going to have such an incredible time there! 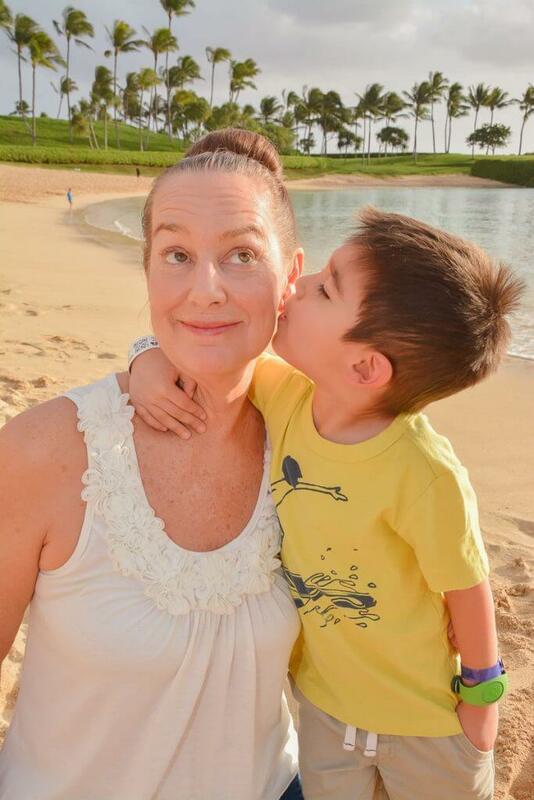 Hoping to help other families planning their Disney vacation in Hawaii! OMG yes you should go! It’s gorgeous and super relaxing while having the impeccable Disney service. The photo pass is such a great idea and so worth it! great photos! Yes, it’s really a cost-effective way to get photos at Aulani! I love Disney! I didn’t get the Disney photo pass when I visit DisneyLand last month, but I definitely will next time. Thanks for sharing. Yes, we’ve enjoyed the PhotoPass at Disneyland, too! We absolutely loved Aulani! We’ve been twice. First time in May of 2015 we stayed for 10 days and the second time in May of 2016 we stayed for 14 days. The perfect amount of time I feel for guests to stay at Aulani is 7 nights. Since our third trip to Aulani will be next May, we will be staying for 7 nights 8 days which we think will be perfect. You definitely hit most of the important highlights of Aulani. We also enjoyed the Disney characters by the pool called SHAKE-A-SHAKA POOL PARTY at Aulani. Mickeys Space Goo was a must at Aunty’s Beach House which books up in advance during the summer months. Snorkeling at Aulani was also fun. My kids favorite thing at Aulani was the splash pad area and the lazy river. It’s my new favorite resort! We were blown away! They are in the process of changing a lot of the activities at Aunty’s Beach House so I’m excited to hear what new options are coming! This is so awesome! I am never in the family photos because I’m always the ones taking them. I hope more resorts adopt this idea! Oh wouldn’t that be awesome! It’s such a smart idea! Oh my gosh this looks SO fun! And all of your tips are amazing! These pictures are just too cute too. AND, totally off subject, but I LOVE your bathing suit!!! Haha, I’m obsessed with retro style swimsuits right now. They just seem so flattering! This sounds like so much fun! I’ve never been to Hawaii, but I think if I ever go, I’ll have to do it Disney-style! It’s a fun way to combine two fun vacation ideas! I have never heard of the Aulani Photo Pass before but it definitely sounds like a great concept and is absolutely perfect to get the full family photos. It’s always hard when you’re busy trying to take photos that many times not everyone is in the shot. So great that your Mum could get 40% off when you book the room – heck I would book tomorrow if I could! What an amazing holiday to have with your family. It’s nice to get the whole family in photos. I always stress out about making sure to take photos on our trips. This made it much more relaxing! Wow, sounds like an amazing vacation! I love Hawaii, AND Disneyland so I imagine this would just be pure magic! It’s seriously the best combination! I love that you can get pictures with your favorite Disney Characters. This is so great to know for when we make it to Disney in the future! Yes plus they will take photos with your phone or camera, too! Disney for the win!! I would love to go to Aulani!! It’s nice to know there are so many great photo spots. I also love that you got to spend some sweet time with your mom. Looks like an amazing trip!! Awesome! I will look into that! What a wonderful vacation! I love the photo pass option, that is a huge help. Yes, it really alleviated a lot of stress for me! Ohh I have never heard of such service as Disney Aulani photopass! What an incredible smart idea! When family goes on vacation we are very busy with keeping an eyes of our kids and concentrating of having fun so it’s genious to have photographers who take family photos of you throughout the day! Thank for the tips! Yes, it’s super handy! I always feel like a hot mess when traveling and don’t always want to lug my camera. But, I want lots of photos! I didn’t know Disney did photopass at Aulani! We have never been, but would love to someday! We didn’t get photopass at Disney World, but they still take photos and scan your magic bands. I wasn’t super impressed with the quality so glad I didn’t pre-purchase. Your photos turned out great though, maybe the photographers there are better? Hawaii is definitely a hot spot for photographers. I was pretty impressed with the ones at the beach at sunset. I was also pleased with how many photos they took at the character interactions. I have a bunch from my real camera, plus lots of photos and videos on my iPhone that the cast members took. These are such important tips to maximize your visit. Good photos are important to preserve the memory of a beautiful time in the past and there shouldn’t be a reason for not getting enough pictures! Yes! Cheers to more photos! I love these type of photo ops because we can get our whole family in the photo which is huge because otherwise it is my husband or my taking the photo. Thanks for sharing, looks like a fun time. Yes, we usually have to settle for family selfies, so these are much better! I am a Disney addict and I had no idea about this service! Thanks for the info! It’s super helpful, especially when traveling with little kids! Looks like you had a phenomenal trip! I would love to visit Disney Aulani in Hawaii. These are great tips, we are planning our summer vacation now and this has just made the list. Thank you. 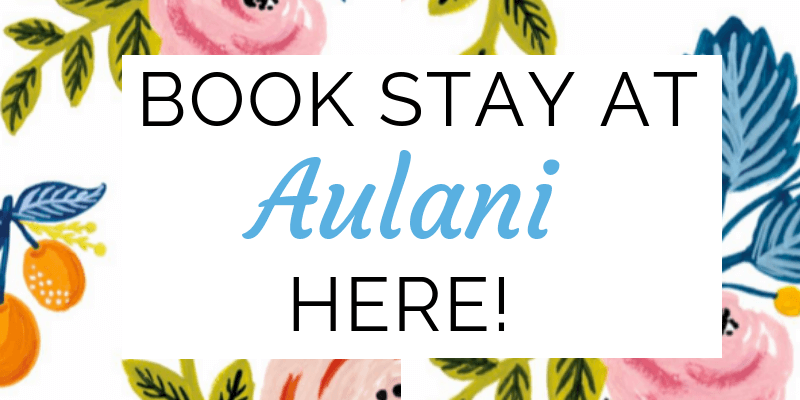 You won’t regret a trip to Aulani! Yes, getting everyone in the photograph (without it being a selfie) is so hard sometimes! We’re hoping to make it out there one day soon! I’ll have to keep this post saved! Thanks for the tips! Looks like you guys had a great time! It was an incredible trip! I hope you add it to your bucket list! Oh wow! So first of all, I didn’t even know that there was a Disney resort in Hawaii, so how cool is that? We’re going on a Disney Cruise this May, and I’m so stinkin’ excited (as are my kids). This just made me think twice about getting the PhotoPass, and now I’m absolutely going to get it (….runs to go make sure it’s even an option!). How convenient, and I love that you said you looked at all the pictures in the room at night. I’m crossing my fingers we can do that with our pass! I’ve heard so many amazing things about the Disney Cruise! Have the best time ever! I’ve heard of this pass and it sounds PERFECT! Love it! I absolutely LOVE the photo passes that WDW offer. I typically have a pretty expensive camera with me wherever I go and it’s great to know that I can get some fab photographs of myself in front of iconic locations – with preferred spots to stand – without having to hand over my beloved camera to a complete stranger! Just one of the ways Disney excels wherever they are in the world! Exactly! I hate handing over my camera to other tourists. This feels like a safer option! As the photographer of the family, I know what you mean about getting left out of many of the photos. So love that you found a way to be included in your Disney shots. It also takes the pressure off of having to worry about making sure you got all the right shots as well, by letting someone else do the work. Yes! I took plenty myself, but I loved being able to enjoy the character meet and greets without worrying about taking photos. I usually get the crew members to take my photo with my own camera and phone, which, like you mention, is free of charge! I understand your point about the downloaded photos being of a higher quality (I also think they edit the pictures a little bit before putting them up online) but I have my own editing software if need be so I kind of don’t see the point of paying that much money for buying the pictures. However, I think you’ve done a great job by listing all the places where it is possible to get pictures through the Disney photopass. How lucky that your mum gets discounts for stay in the Disney Aulani resort! 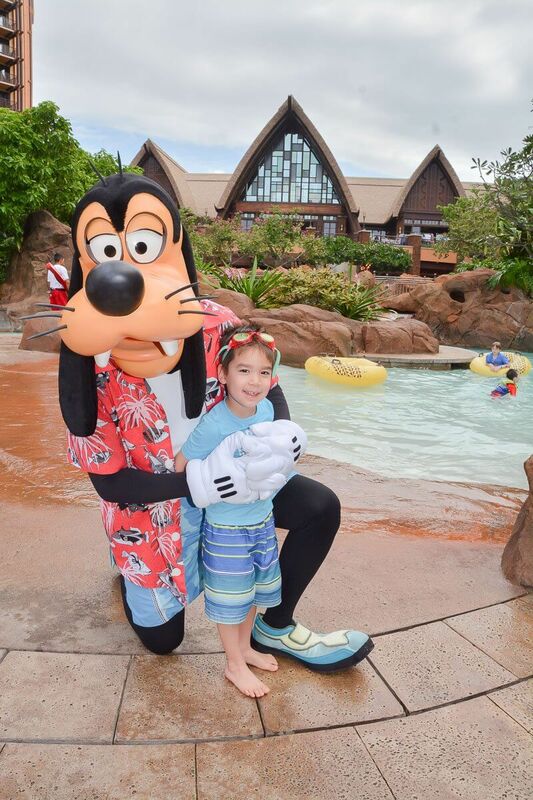 Aulani photo pass is great way of treasuring Disney memories forever. Great options of sunlight photography and also relatives are included. I loved the whole concept of Aulani Photo Pass and the services they offer like photo editing, crew of expert photographers. Will surely take this pass when visit to Disney Resort and Spa. The Disney PhotoPass photographers don’t edit the photos, but you can edit them yourself after you download. This was a clear and informative post. I go to Disney in Orlando every year and I don’t get the photo pass but I don’t travel with children. For kids the character meet and greets and special events are so important it makes sense to get the pass. Yes, I think everything changes when you travel with kids! This is an excellent service! I love those gorgeous shots. Though they’re posed, they do look candid! I wonder why many other places aren’t opting for such a service. Yes, sometimes it does get irritating when you’re more into your camera instead of just enjoying the place. Thanks! Yes, you’d think more resorts would do this. It was fantastic! It’s for Disney Aulani in Hawaii. Such a fun resort! This is such a great idea, I love that you can see them for free and then only pay for the ones you decide to keep in the end! Yes, I’m always hesitant about paying for things before I see the quality. I love all of these photos! I alway get PhotoPass whenever we’re at Disney. They’ve captured some wonderful moments, and I love that I can be in the photo. It’s such a handy service! Aulani is one of the best resorts in Hawaii! Nice tips! Character meets seem to be an interesting experience for the children. I love the picture by the way. Omg this looks like so much fun! It is giving my some serious travel envy. It looks beautiful! I hope you get to go on an adventure soon! I don’t think I have any sunset pictures of my kids. I’d definitely want to do that. Oh, and the character breakfast. We love those. The lighting is just so nice around sunset! i bet you all had a wonderful time. it must of been so much fun and being with the whole family. i bet the kids enjoyed themselves. We all had so much fun! It was one of our most relaxing vacations! This is a really great thing to take advantage of. Getting pictures with all of your favorite characters is really awesome! Oooh this place looks amazing to visit. I am happy you provided so much useful information! It was gorgeous and the staff were so nice! More photos is always a good idea!